The CoMas Group – a full-length Customer Success Story that we completed for Technovate Translations – a Canadian-based company providing corporate language translation services. 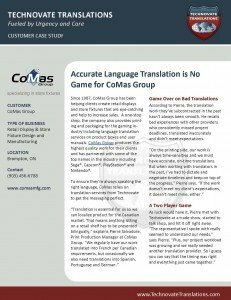 CoMas has partnered with top names in the gaming industry including Sega®, Capcom®, PlayStation® and Nintendo®, and utilizes Technovate to complete language translations for product boxes and user manuals. 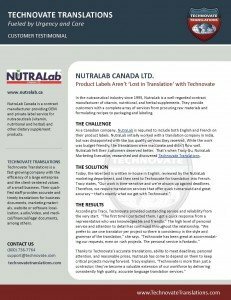 NutraLab – Technovate Translations also helped NurtaLab, a well-regarded contract manufacturer of vitamin, nutritional, and herbal supplements, stay compliant with Canadian law by providing English to French translations for their product labels. Technovate’s accurate translations, ability to meet deadlines, personal attention, and reasonable prices, helps NutraLab keep critical projects moving forward. 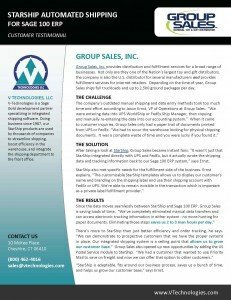 Group Sales, Inc. – Since they loved their Success Story so much, V-Technologies came back to Juice Marketing looking to highlight their customer experience with Group Sales, Inc. This time they opted for the shorter Customer Buzz format to make the customer testimonial a quick and easy read. Group Sales, Inc., a distributor for several manufacturers and internet retailer fulfillment service company, was looking to replace their outdated manual shipping and data entry methods. That’s when they turned to V-Technologies for a seamless integration between Sage 100 ERP and StarShip, an automated shipping solution. 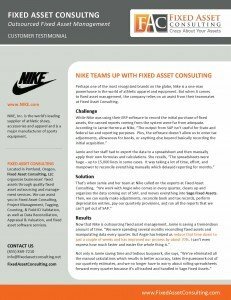 NIKE, Inc. – This is a customer buzz created for Fixed Asset Consulting, a Sage Fixed Assets Partner. Nike, the world’s leading supplier of athletic shoes, accessories and apparel, relies on Fixed Asset Consulting for outsourced fixed asset management. 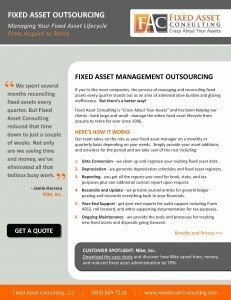 After dealing with spreadsheets and manual data entry, Nike found the team at Fixed Asset Consulting to assist them with data cleanup, organization, and transfer into Sage Fixed Assets. Fixed Asset Management Outsourcing – The team at Fixed Asset Consulting called upon Juice Marketing to design and develop a brochure for their Fixed Asset Management Outsourcing service. The company who’s tagline is “crazy about your assets” helps their clients manage the entire fixed asset lifecycle from acquire to retire. 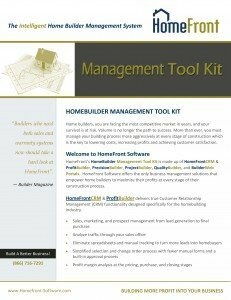 HomeBuilder Management Tool Kit – Homefront, an industry leader in home building and construction management software including Sage 300 Construction and Real Estate, chose Juice Marketing to develop a brochure highlighting the benefits and features of their HomeBuilder Management Tool Kit. This brochure was the last in a series of product brochures that were created for the entire HomeFront Software suite. Note: HomeFront is a member of our monthly 3Cs Marketing Program. Equation Technologies – San Diego based Equation Technologies works with Juice Marketing to stay top of mind with leads and prospects. Below is a sample email newsletter we developed that drives traffic to the Equation Tech blog and nurtures the leads in their pipeline. Project included design, content development, formatting and extensive HTML email testing. Note: Equation Technologies is also a member of our monthly 3Cs Marketing Program. RKL eSolutions – Lancaster, PA based RKL eSolutions stays in contact with their prospects and customers with their “Tech Connect eNewsletter,” developed and written by the Juice Marketing team. Each newsletter features business articles, technology tips, upcoming events, and helpful resources to nurture leads and stay top of mind with potential customers. Acente Solutions – New Jersey based Sage HRMS provider Acente Solutions likes to stay in touch with their customers with their monthly AcenteWire newsletter. Acente’s email newsletters are developed using articles from our Content Vault, which drives traffic to their blog. As many of you already know, the Juice Marketing Newsletter Program delivers bi-monthly and quarterly issues for the most popular Sage Software products. 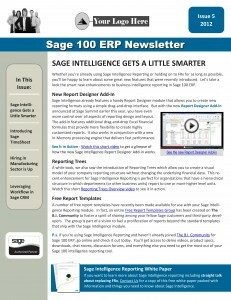 This past month we wrapped up the latest Sage 100 ERP newsletter. Next month we will be publishing newsletters for Sage 100 ERP, Sage 300 ERP, Sage 500 ERP, Sage 100 Fund Accounting, Sage CRM, and Sage HRMS, along with the newest member in the newsletter lineup … Sage ERP X3. Juice Marketing has been busy writing, optimizing (for search visibility), and distributing Press Releases for many of our clients this past month. We’ve written press releases that cover news ranging from new hires at companies and service updates to products expanding into the cloud. Contact Us if you see something you like and we’ll talk about putting some JUICE in your MARKETING!